November 30, 2007  Welsh bass-baritone Bryn Terfel conquered the world of opera in the '90s, singing at major concert venues the world over. Amid two New York City appearances, he visits the WNYC studios for an interview. November 29, 2007  Fifty years ago, two legends of jazz joined forces on the stage of Carnegie Hall in New York City: John Coltrane and Thelonius Monk. The recording from the event was lost until two years ago, when it was discovered in the archives of the Library of Congress. Now out on CD, the magic of that special evening, 50 years ago, lives on. Virtual or Reality Rock Band? November 28, 2007  The new video game Rock Band lets you form a band and go on tour playing covers of actual rock songs. Carrie Brownstein, former guitarist for Sleater-Kinney discusses the digital music trend. November 28, 2007  Legendary songstress Patti LaBelle has a new Christmas album in stores, Miss Patti's Christmas. The Grammy Award-winning musician opens up about her legendary career, her latest work and why, after 45 years in the business, she just wants respect. November 28, 2007  Jones and her band The Dap-Kings have been recording and touring together since 2005. On their third album, 100 Days, 100 Nights, they sound better than ever. Jones recently took a break to dish on her band and a few of her high-profile collaborators. 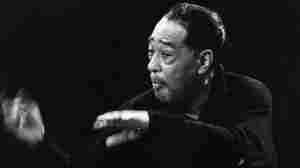 November 28, 2007  Duke Ellington's instrument was his orchestra, a hand-picked group of the best musicians available. His signature sound was a blend of talents, personalities and regional influences that each musician brought to the band. November 28, 2007  This year, Sondre Lerche has had a regular studio album, Phantom Punch, and done the entire soundtrack for the film Dan in Real Life. Lerche talks about bursting through to the mainstream and performs a few songs live. November 27, 2007  On what would have been the 65th birthday of music icon Jimi Hendrix, Charles R. Cross, author of Room Full of Mirrors: A Biography of Jimi Hendrix, cross-examines the lesser-known personality of blues legend Jimi Hendrix. November 25, 2007  Play It As It Lays is Patti Scialfa's third solo CD. The New Jersey singer/songwriter, a longtime member of the E-Street Band, is married to Bruce Springsteen.